Polar vortex got your car buried under 10 feet of snow? 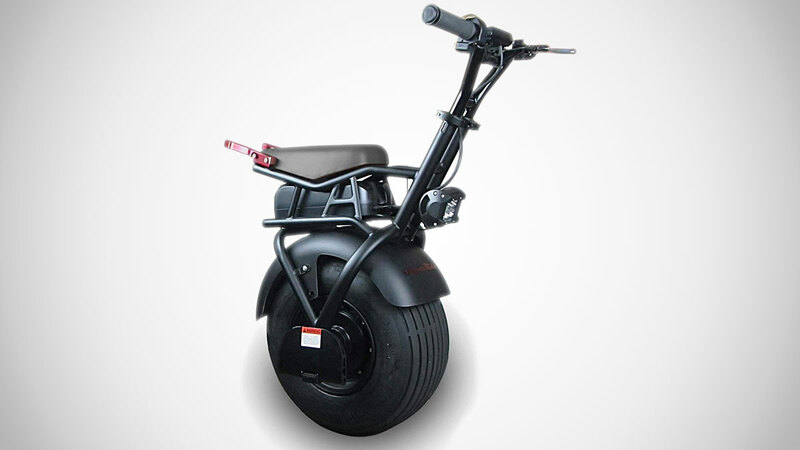 Grab your SUPERRIDE S1000 and go all self-balancing electric unicycle on Mother Nature. No winter storm stands between you and your access to The Tamale Spaceship food truck. Just kidding. A SUPERRIDE S1000 isn't going to fare any better in snow and ice than a 1992 Toyota Tercel. (And for that matter, neither is The Tamale Spaceship - they're closed until we get at least some double digits back.) But someday, after the thaw, when you realize it's not worth trundling your car through traffic to get lunch, or to work, or to anywhere within 7 miles of your house, this self-balancing electric transporter will be ready to roll in as your one-wheeled wingman. 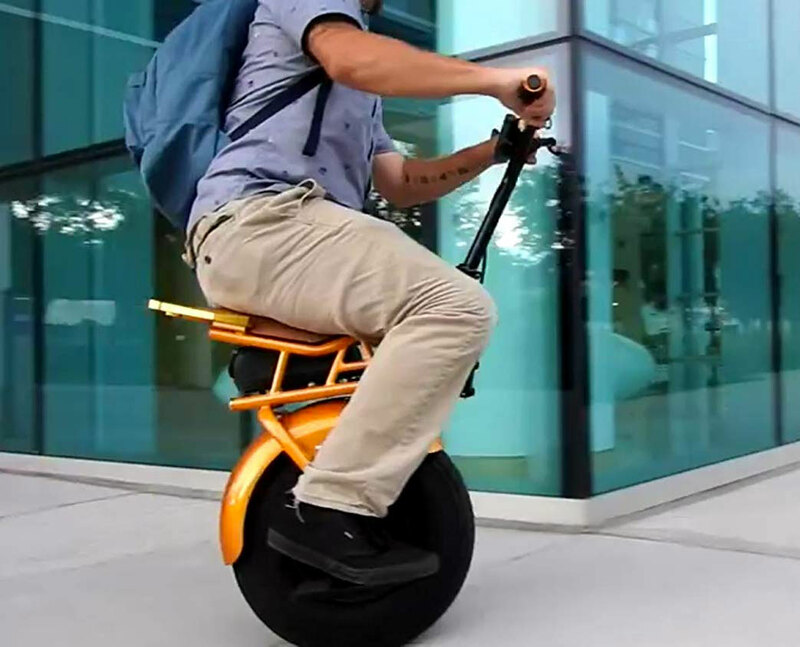 Like the Uno Bolt e-Unicycle, the SUPERRIDE S1000 allows riders to sit, as on a motorcycle or bike, during use, while self-balancing gyroscopic technology steadies the uni and automatically responds to body positioning and movement, as well as movement of the scooter itself. SUPERRIDE control comes from the rider's distribution of body weight - lean forward to accelerate, back to brake, and right or left to turn. 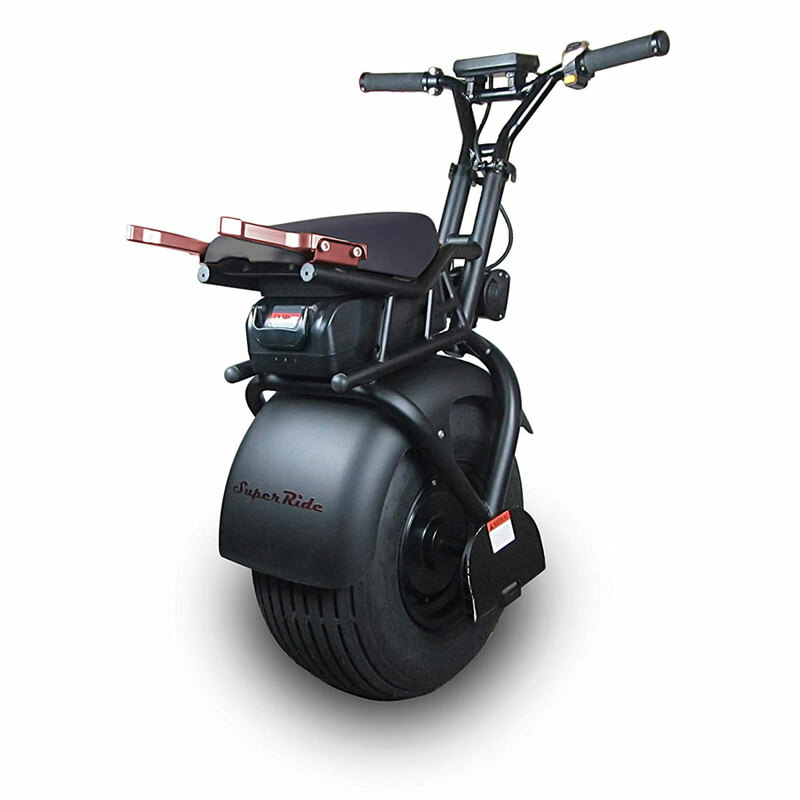 Like the Uno Bolt, the SUPERRIDE weighs just 45 pounds, and can carry a load of up to 280 pounds. 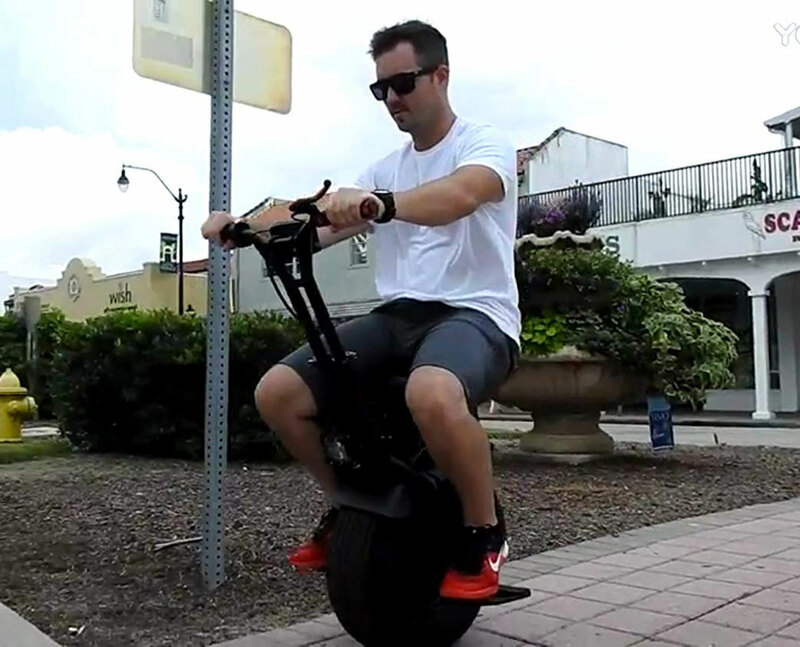 The scooter is fitted with a 1000W motor for speeds of up to 20MPH, and the 60V / 5.8 Ah battery can travel 15 miles per 45-minute charge.